Homeroof repairWould It be Okay to Put Two Layers of Shingles? There are times contractors allow to put up to two sheets of shingles on a roof. 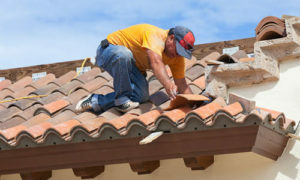 There are occasions it would be better to let the roswell roofing specialists strip off the old layer and start fresh. There is proof of a roof deck harm such as spongy areas, sagging or indications of leaks that must be fixed. If the flashing that surrounds the chimneys, dormers is loose it can be penetrated by leaks. It should be addressed by replacing it with a new one. If the primary layer is made up of dimensional shingles with a high profile, the secondary layer will become lumpy. The merged layers are too dense for the top framework. It would be a problem in areas with heavy yearly snowfall and if overweight shingles are used. The roof deck is the plywood structure and also known as flakeboard. It is usually 7/16” and has 4’x8’ sheets. It is attached to the rafters or trusses. It is advisable to tear off the current roofing to see the surface underneath. Moreover, the roof technician can inspect the areas that have to be restored. If the roof decking is exposed, the roofer will be aware of its current state. Some clients wish to explore and put a second layer of shingles without removing the old ones. 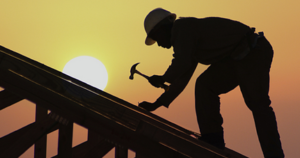 Seek consultations with local roswell commercial roofing companies to inspect the possibilities. The examiner should take a walk on the entire affected area. It is to find out if there are spongy or bent materials that specify rotted and broken roof deck. The roofer should check the areas where roofing nails are easy to lift out. If he found such symptoms, it means the wood beneath is weak because it can’t hold the roofing nail tightly.He must also survey the deck’s underside. Usually, roofers reach it through the attic of the house if it is accessible. There he may discover water patches or damages caused by leaks. He can also observe the air circulation inside. Molds and rot on the inner portion of the deck indicate moist infiltration in the attic. It means, it is not controlled because there is no proper ventilation in the attic. The homeowner may propose to roofing specialist roswell to tear off and replace the deck or roof sheathing. In doing so, it may cost a few dollars per square foot.